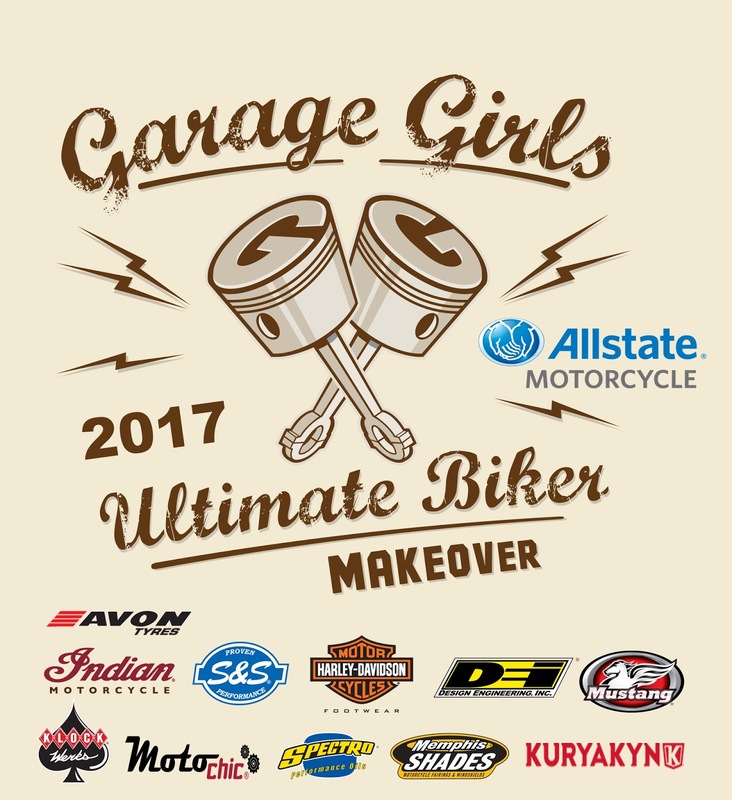 Garage-Girls Ultimate Biker Makeover Brought To You by Allstate Motorcycle Insurance for 2017! (Manheim, PA) March 7, 2017 – How would you like to score a HUGE list of parts and accessories for you AND your Motorcycle? You can, if you enter the Garage-Girls Ultimate Biker Makeover 2017, brought to you by Allstate Motorcycle Insurance. Contestants (Girls and Guys) must submit a 600 words or less essay – describing why they are most in need of a biker makeover as well as a photo (jpeg no larger than 5mb) to bikermakeover@garage-girls.com Deadline for entries is July 7th, 2017. Submissions will be narrowed down to the final four by selected judges from Garage-Girls. From there, the judges will decide who they feel most deserves the Ultimate Biker Makeover and will get to take home all the prizes which include; A wardrobe of shoes from Harley-Davidson Footwear, a case of full synthetic oil from Spectro Oils, A new Mustang Motorcycle Seat, a set of tires from AVON Tyres, A Valerie bag by Motochic, Surprises from S&S Cycle, Klock Werks, Kuryakyn, DEI, Memphis Shades, Indian Motorcycle and MUCH MORE!! Winner will be announced August 10th on Garage-Girls.com and Garage-Girls FB page.